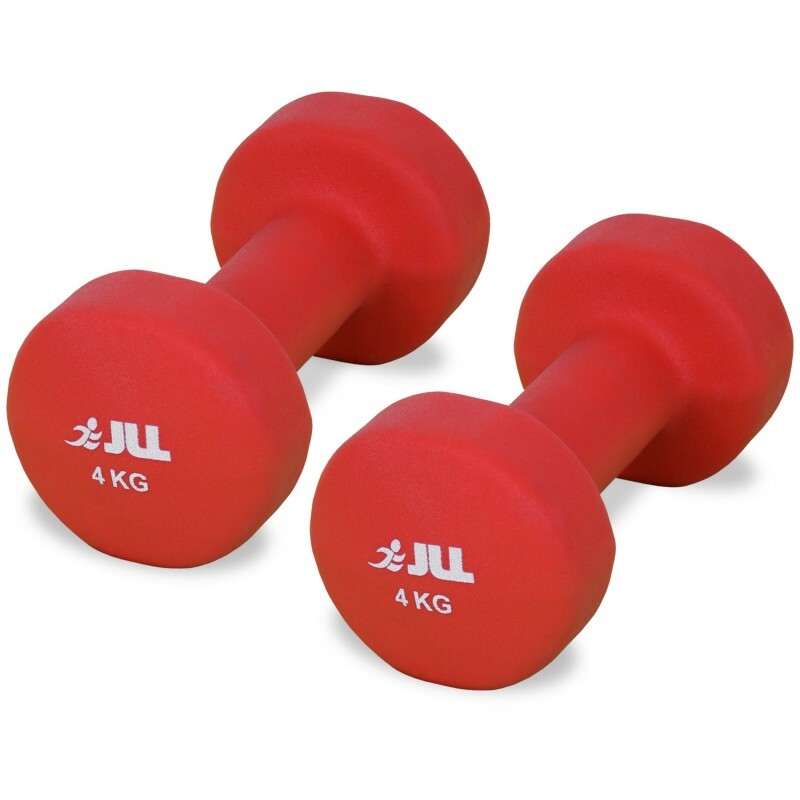 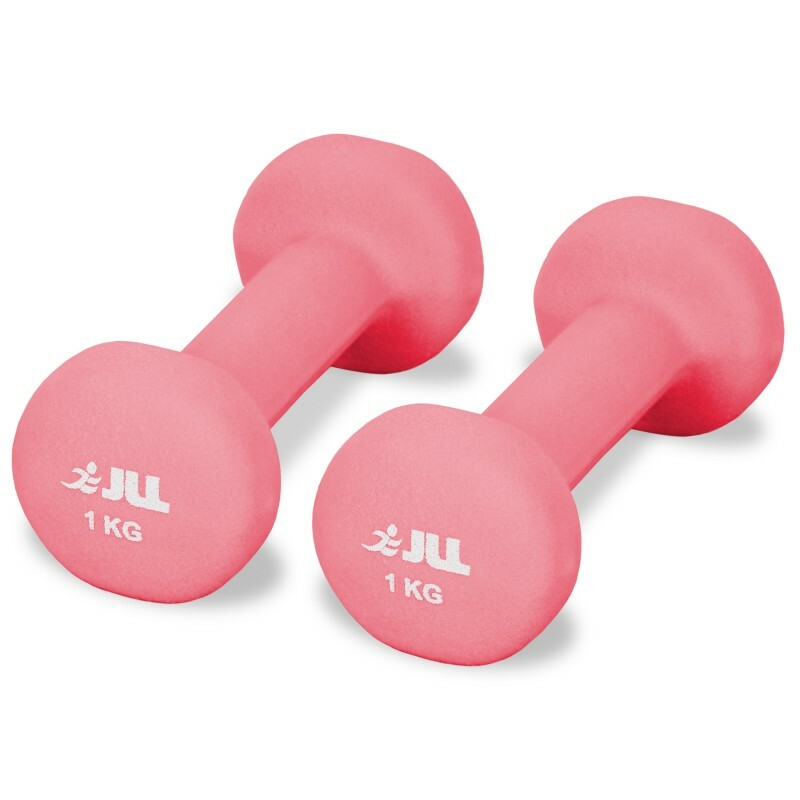 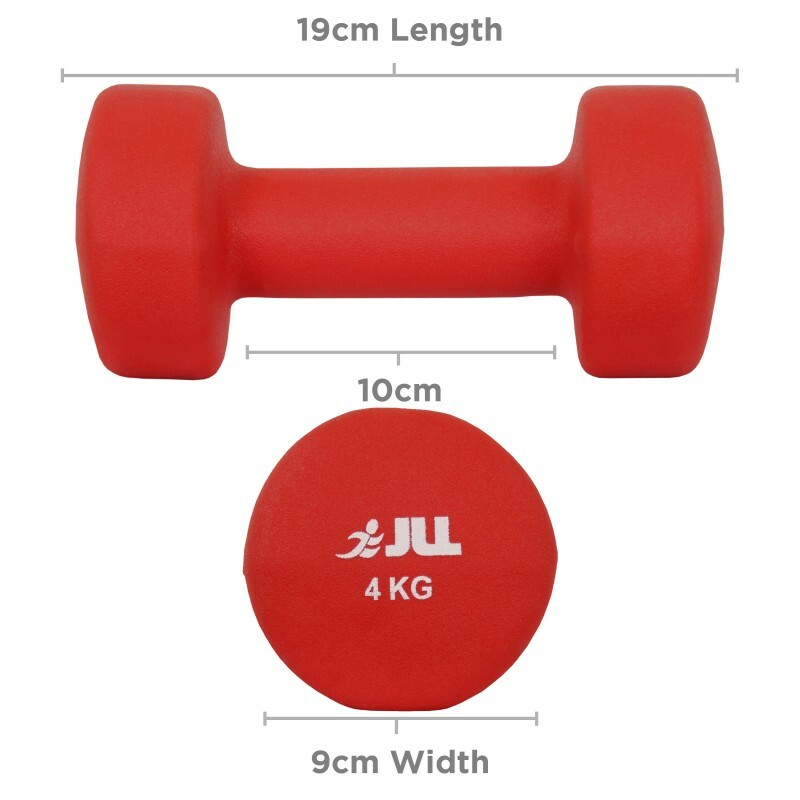 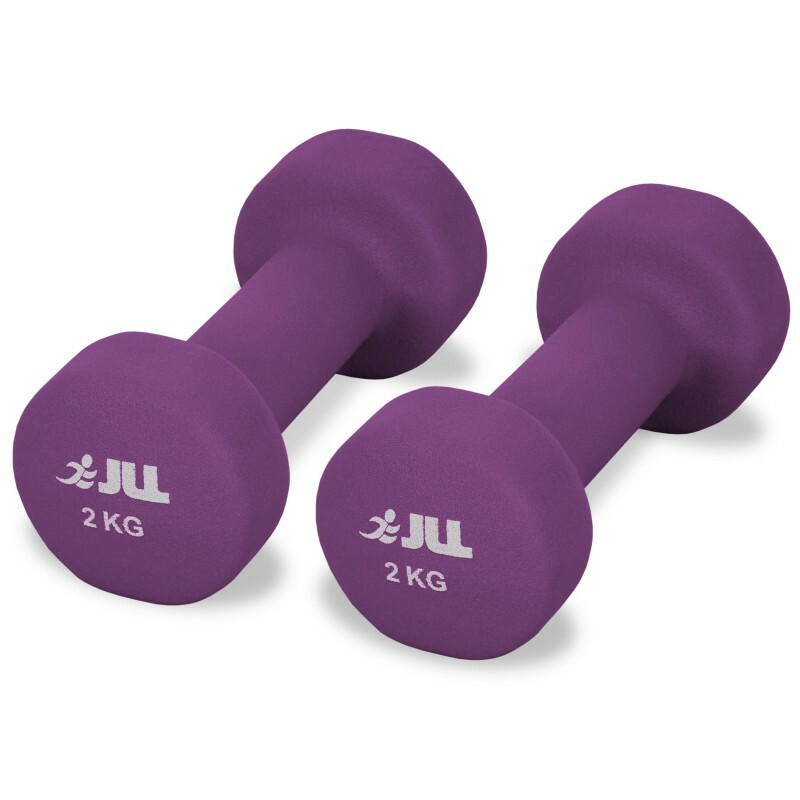 Pair of Neoprene Coated Dumbbells for aerobic and fitness training. 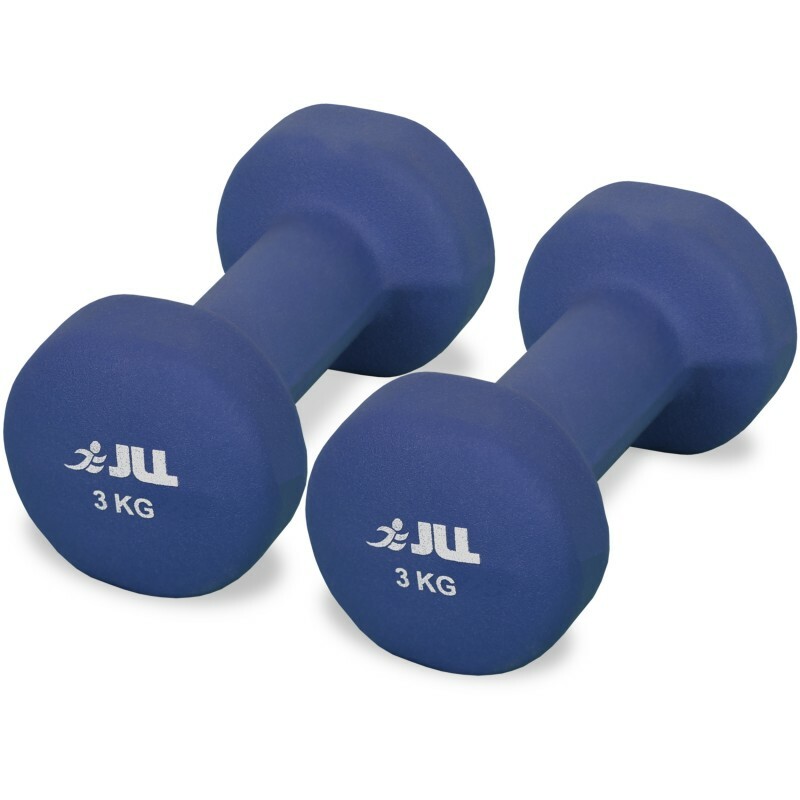 Available in various weights. 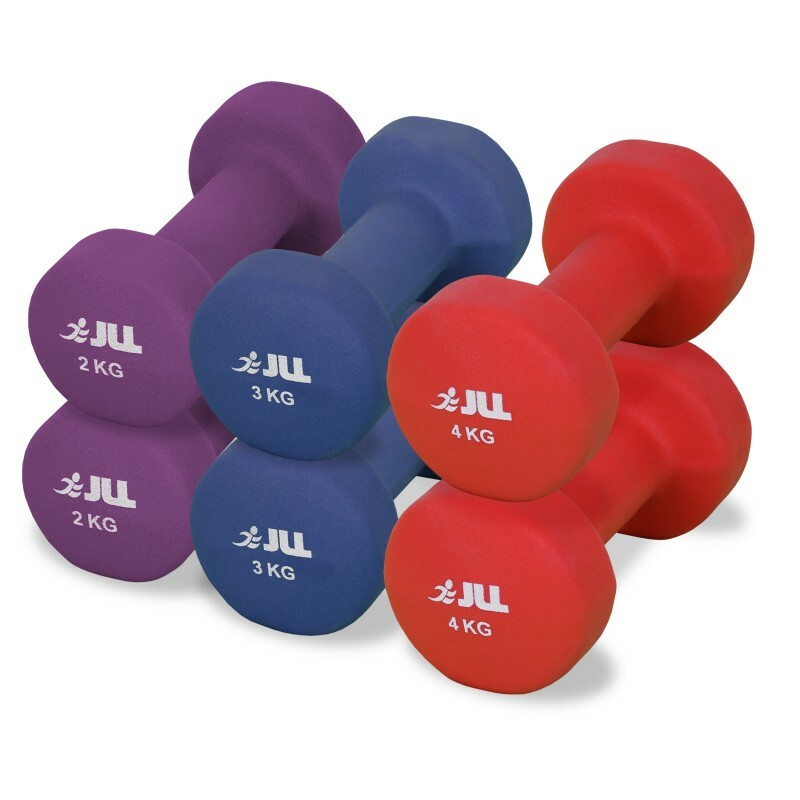 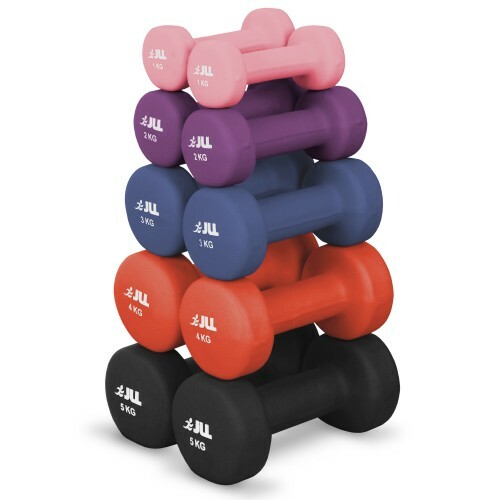 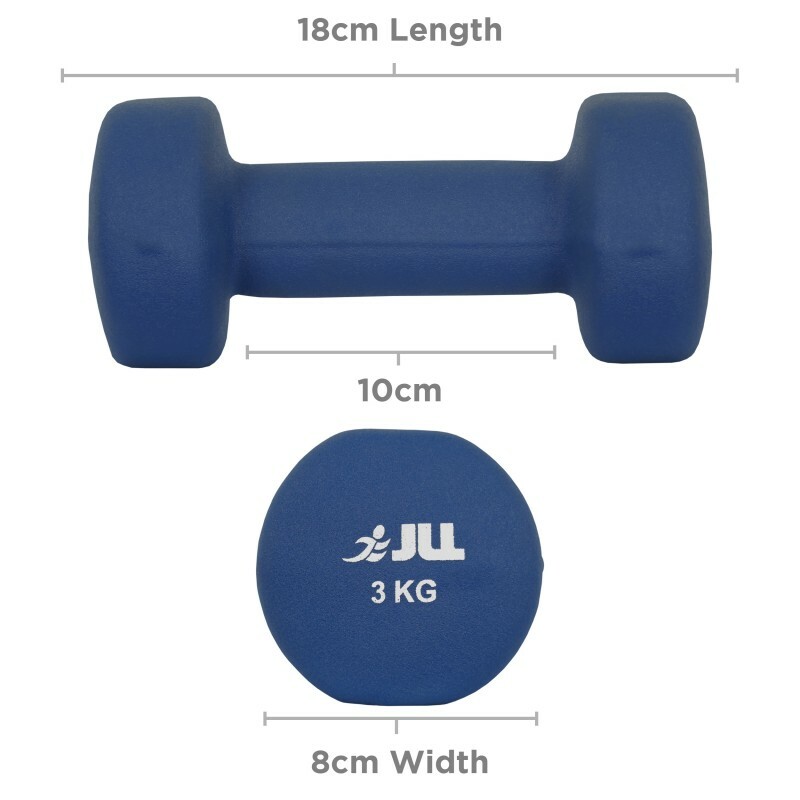 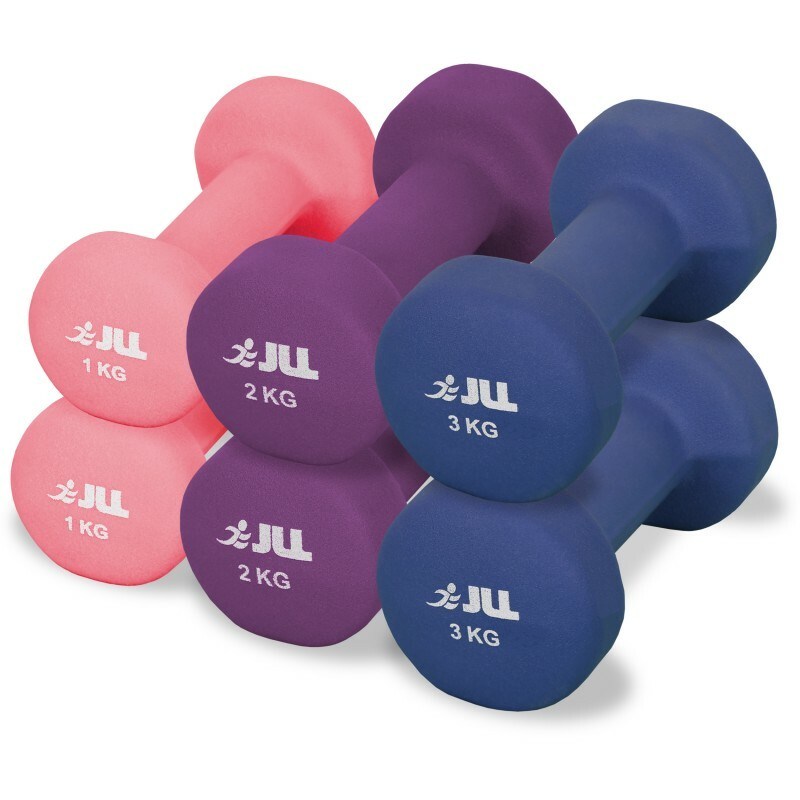 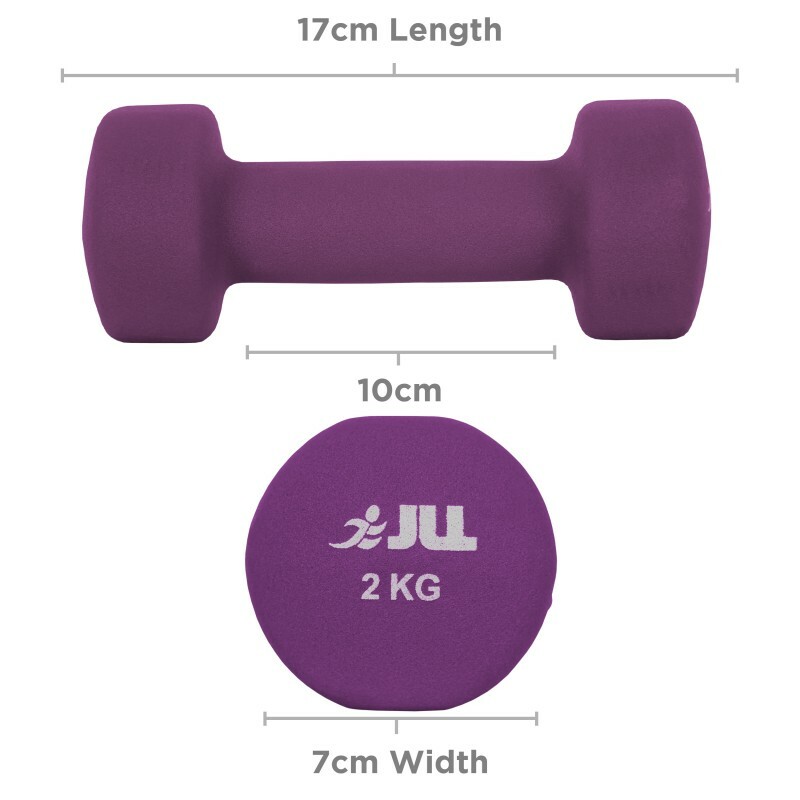 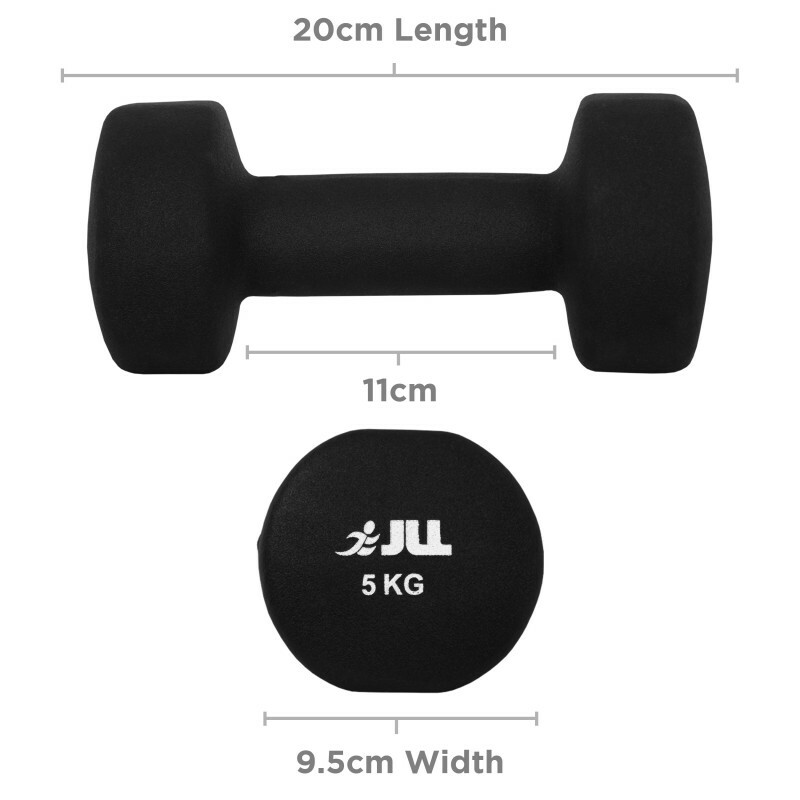 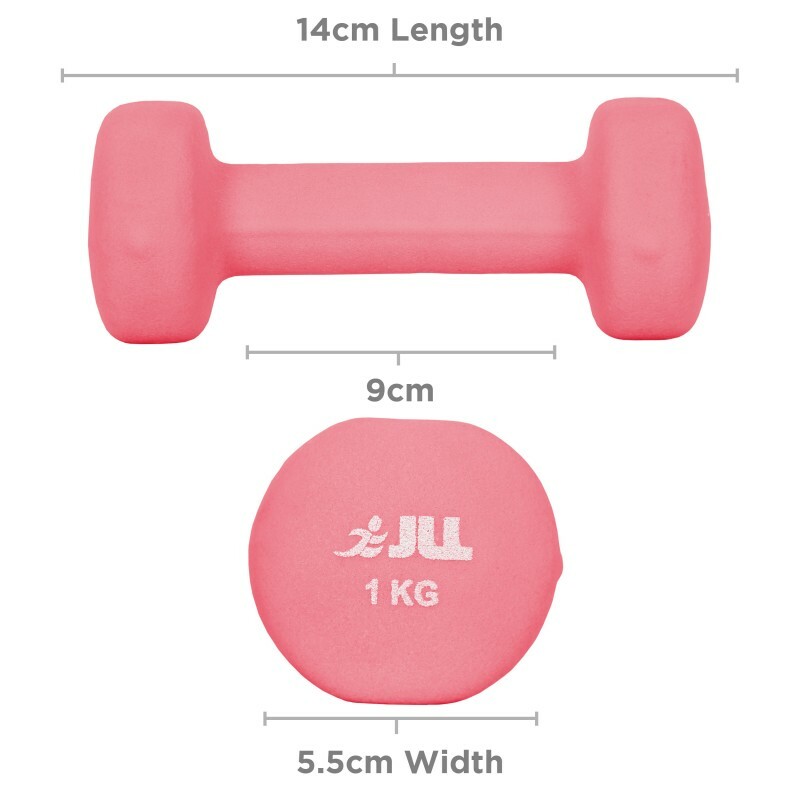 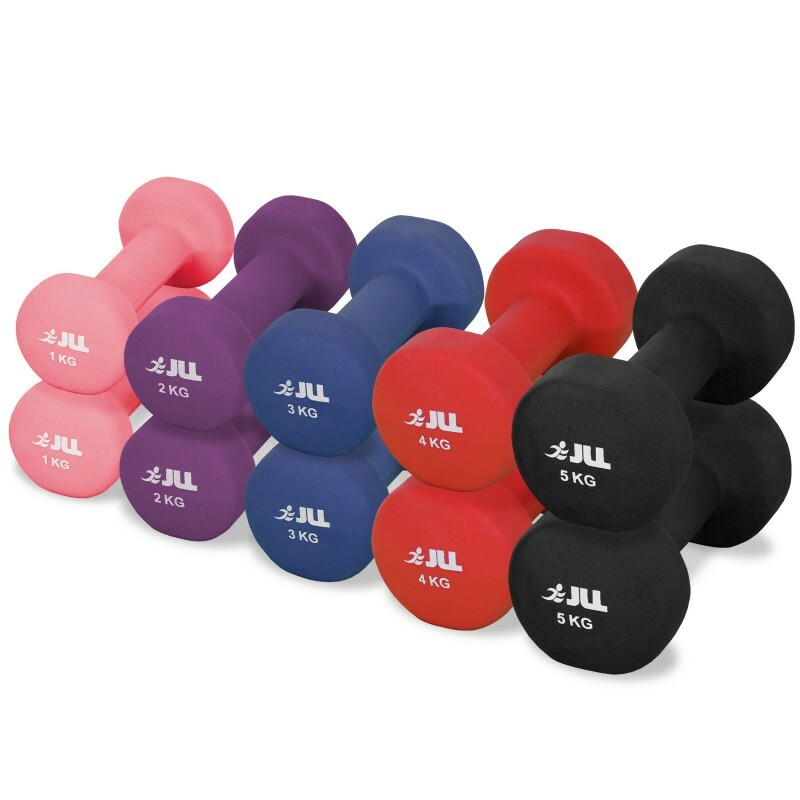 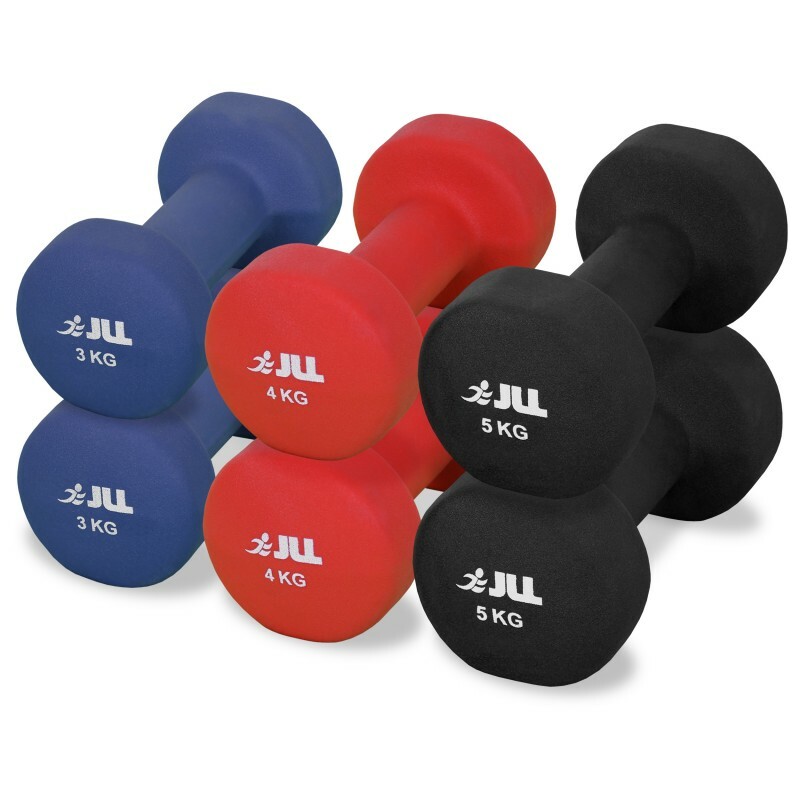 The JLL Neoprene Coated Dumbbell Set features ergonomic grip handles for comfort and control helping you tone or improve strength during your workouts. 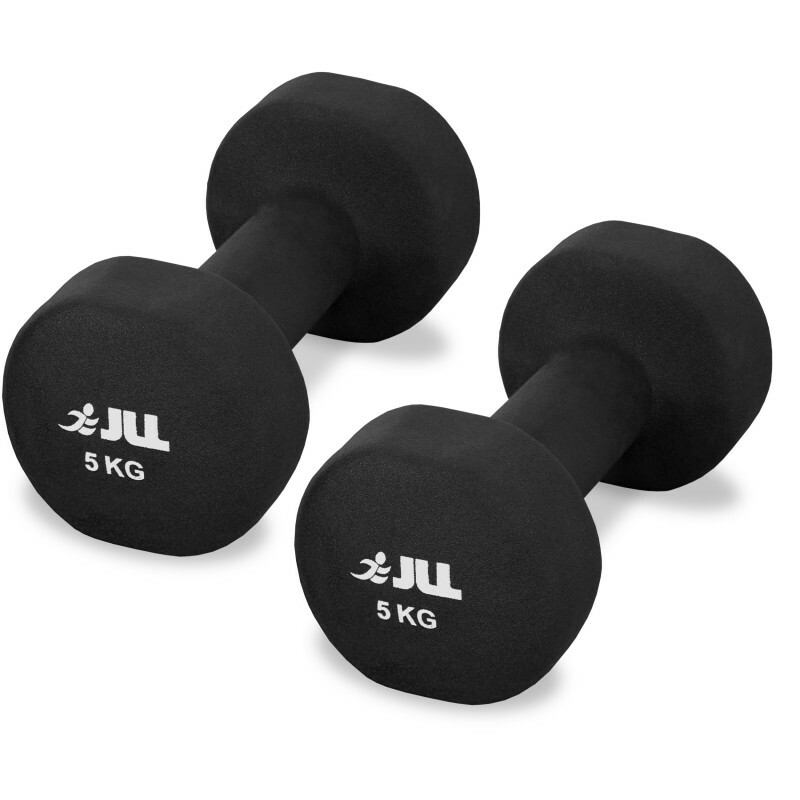 Neoprene Dumbbells have the advantage of being less slippery when your hands become sweaty. 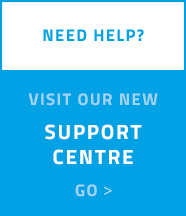 Neoprene coating ensures durability and easy to clean while it protects your floors.